Claims that a new EU Treaty is just an amending Treaty where no referendum is required flies in the face of common sense. 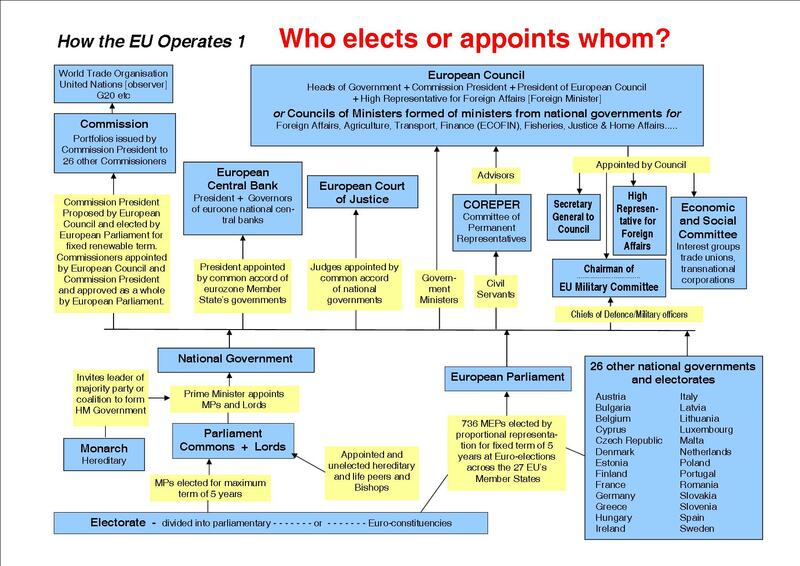 The "exclusive mandate" given to the EU intergovernmental conference (IGC) is nothing more than a political device comprising of a slow coup d'tat for nation states and democracy in the EU. This was devised by Germany with the full complicity of the Blair government and Commission. Blair's set of "red lines" were a distraction and a crude political aunt sally. Dropping the word "Constitution" and "foreign minister" together with minor elements of the original text in the rejected EU Constitution will fool few. Temporarily abandoning symbols such as the flag, motto and anthem of the EU state mean nothing. Just days before the EU summit, Foreign Minister Margaret Beckett spent two hours stonewalling at the House of Commons European Scrutiny (select) Committee to say that no document had been agreed prior to the European Council in Brussels. Either Downing Street was not keeping the Foreign Office informed or they knew and Mrs Beckett was telling fibs on behalf of retiring Blair. At the summit, Qualified Majority Voting (QMV) was used to force the "mandate" through. Poland had strong objections to weakening their share of the votes, hence the claim that their population would be bigger if Nazi-led Germany had not decimated their citizens. The Czech delegation let it be known that it regarded the Brussels summit as "a fiasco" and confirmed the fears of the eurosceptic leadership around Czech President Vaclav Klaus. A member of the Czech delegation stated: "We tried to support the Poles but, without a partner from one of the larger states, we were powerless." 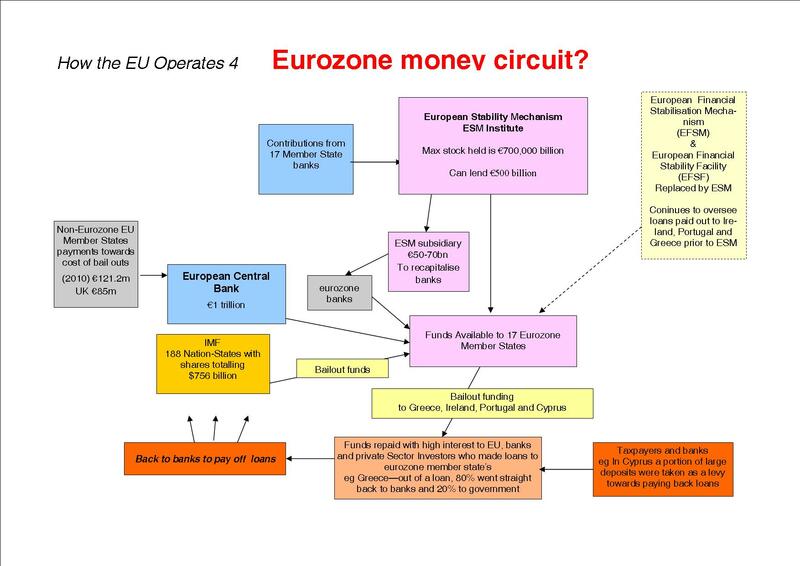 This verified that QMV had been used by the larger Member States to force the new EU Treaty through. The "mandate" is unprecedented and has profound implications for the future of Britain, the right to self-determination and consolidate a Euro-federalist government. The Vienna Convention governs international law and treaties which gives the fundamental right of sovereign states to negotiate any handing over of powers. In the past with all treaties from Rome to Nice the IGC has preceded the tabling of a draft treaty where unanimity and ratification by all Member States was required. In the case of the "exclusive mandate" these principles have been set aside. An IGC has to be held but governments are only to discuss the treaty the European Council wants. The sovereign governments are now acting under orders from the European Council, an EU institution, and by placing themselves in this subordinate position have surrendered more powers and sovereignty. The current inter-governmental arrangement of the Nice Treaty has sufficed for the expansion to 27 Member States and not caused the function of the EU any problems. Hundreds of directives and regulations are still sent down the EU conduit to national parliaments to dress them up as domestic law for rubber stamping by MPs who appear unaware of this process. So, why a new EU Treaty? The objective of the "amending" Treaty is to give the EU the legal status of a state. If that is allowed to happen then we will be ruled by an unaccountable centralised government in Brussels. Such a Euro-federalist government would have the legal powers to do anything without reference to national governments or electorates. Common sense alone dictates this objective is the reason for a new EU Treaty. Otherwise there is no point in having one. It is an undemocratic attempt to get around referendums across the EU especially the overwhelming democratic results in France and the Netherlands two years ago who rejected the treaty for an EU Constitution. The "exclusive mandate" device is a key part of turning the EU into a state. The coup d'tat still has to run the gauntlet of ratification by 27 Member States and more importantly mounting opposition across the EU. If the EU Treaty were put in place then the EU could sign treaties in its own right and change the Constitution without further treaties or ratification. All democratic forces must join together to demand a fair referendum and then to campaign for a No! vote to defend all aspects of democracy and future well-being of the peoples of Britain.